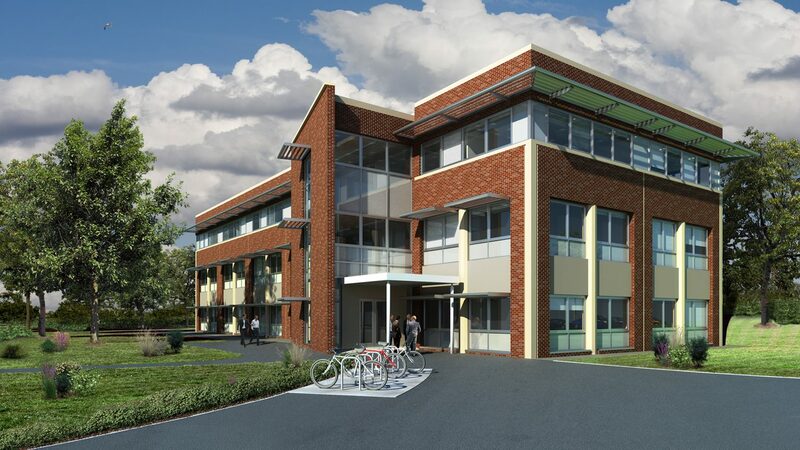 This project provides new offices for Defence Estates (DE) personnel and other key stakeholders on the Catterick Garrison. It accommodates the separate DE departments allowing each group to retain their clear identity whilst combining facilities efficiently within a single multi-storey block. The building achieved a *DREAM rating of ‘excellent’ and was subject to thermal and sun path modelling. Six per cent of the building’s energy requirements are provided by solar water heating panels with a building footprint designed to enable natural cross-ventilation to all the areas of the open plan offices. Construction techniques, including prefabrication and materials, were selected to offer an appropriate whole-life performance and have the necessary green credentials to comply with the *DREAM requirements.